The San Francisco Chronicle reports that the Golden Gate City has lost its last domestic car dealer. 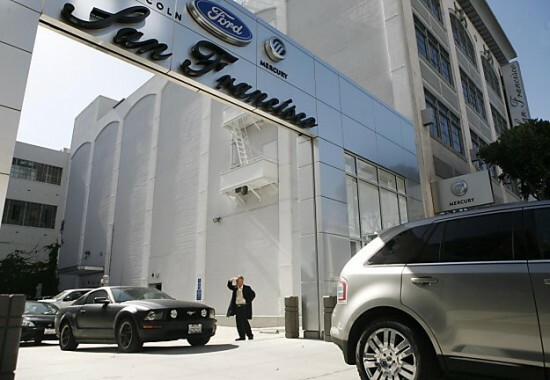 Since San Francisco Ford Lincoln Mercury closed last week, the city lacks a single Ford/Lincoln, GM/Chevy/Buick/Cadillac, or Chrysler/Dodge/Jeep dealer in its 47.6 square mile territory. The dealer’s original owner returned its franchise three years ago to Ford, which has been running the shop since. Ford Lincoln Mercury president Mel Turner said that when Ford’s attempts to sell the dealer fell through, the company had to make a “very tough decision” to close its doors in San Francisco. Next story Google to acquire Motorola Mobility for $12.5 billion- but is it really patents they’re after?